Black Phoenix Trading Post (BPTP) has conspired with Neil Gaiman to create a series based on American Gods, winner of the Hugo, Nebula, Locus, SFX Magazine and Bram Stoker Awards for Best Novel, and now a Starz television series. This is a charitable, not-for-profit venture: proceeds from every single bottle go to the CBLDF, which works to preserve and protect the First Amendment rights of the comics community. Since the nail polish collection is quite large (17), this is my second review for the series. In case you missed it, check out the first review. I believe Ted will be sending more of the collection to me as he replenishes stock. They're quite beautiful, and the formula for each of them is fantastic! Photos show two coats, however; the glitter topper, Coin Trick, is just one coat. They were all buttery smooth, easy to apply and fun to wear. 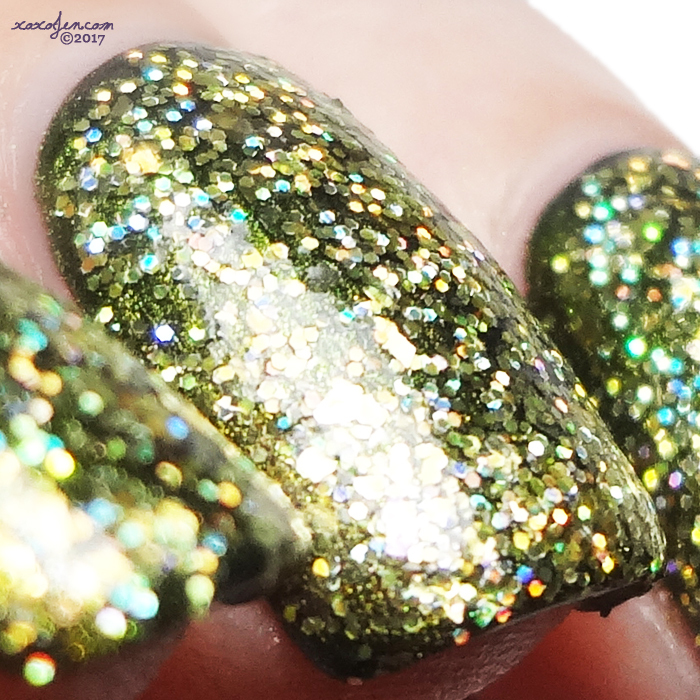 A tawny gold holographic that shifts from bronze to green and back again. Lime-gold microglitter floating among gold flake. Can be used as a lucky topcoat, or slather on two coats for an opaque treasure chest of gold. Pale pink jelly-like finish packed with iridescent Easter Grass flake. Black based multichrome that shifts from gold to bronze to green. The above polishes and the rest of the collection are available now at the Black Phoenix Trading Post (BPTP) online shop. 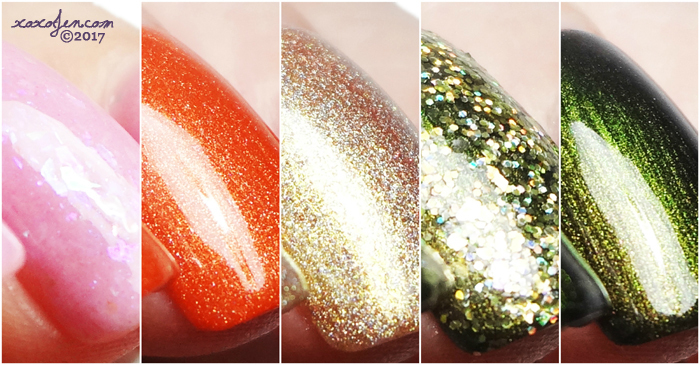 Which of these polishes is your favorite so far? Comment below to let me know! Some great colors in here!